Review of FADE at Seattle Public Theater. Written by Alison S, during TeenTix’s arts criticism training workshop, the Fall 2018 Press Corps Intensive. Lucia and Abel don’t meet-cute: she’s a struggling T.V. writer; he’s the janitor for her office building. Their first interaction is when she thanks him for cleaning her room while scrolling through her phone. Lucia, a compulsive, lonely oversharer in the new city of L.A. quickly spills her life story and problems to Abel. At first Abel, played with gentle firmness by Marco Adiak Voli, is resistant to participate in these conversations. Yet, you can tell from his crinkly-eyed smile that he enjoys her company. 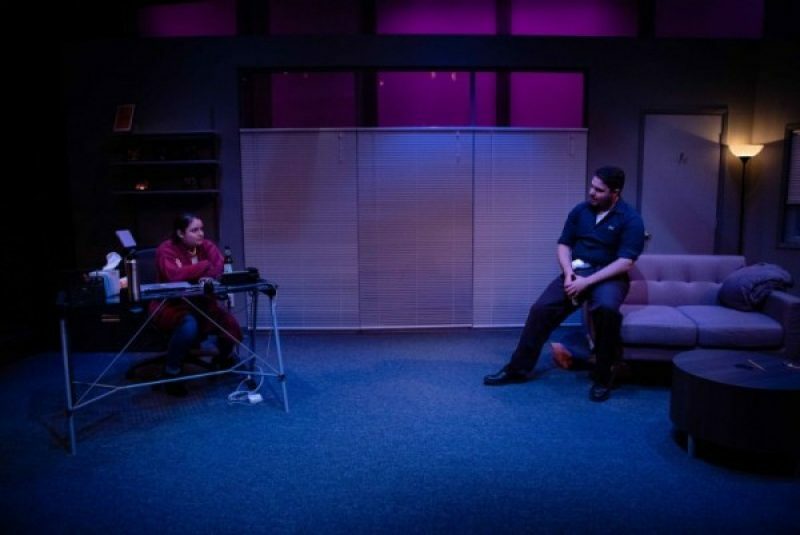 FADE, a new play at Seattle Public Theater, written by Tanya Saracho and directed by Pilar O’Connell, consists entirely of Lucia and Abel’s conversations in her uncomfortable office with ugly, sparsely decorated green walls. Their conflicts and ever-shifting views of each other are fascinating to watch unfold through spirited, witty, and often flirtatious dialogue. It is a character study of opposites that doubles as an examination of the complexity of Mexican cultural identity, with characters nuanced enough that we do not feel the need to take sides in their debates. In addition to loneliness, Lucia, played by Ana Maria Campoy, must also deal with daily indignities at work. These include being referred to as a “diversity hire” because of her Hispanic identity and her boss’s request to help him resolve a conflict with his maid. One guy calls her “Sofia Vergara.” Everyone mispronounces her name. The play’s main conflict becomes clear when Lucia enlists Abel to help her create the backstory for her show’s love interest. His life story, gritty and full of tragedy and pathos, does seem like something out of a T.V. show, and it’s not hard to see what betrayal will ensue. Yet, the predictability of that plot point does not detract from the play’s nail-biting tension. The question is whether this relationship—precarious and strange, across divides of class and personality—can last. FADE at Seattle Public Theater. Photo by John Ulman. She wields her Hispanic identity not just as a point of pride but a badge of superiority. Although he is also Latinx, she gloats about how she was born in Mexico while he was born in L.A.—crossing her arms, she smugly describes him as “Mexican-American.” One of the best things about FADE is that it never portrays racial identity as monolithic: Abel and Lucia may check off the same box on their census forms, but their feelings and thoughts about their identities are completely different, and tied to their personalities and upbringings. In contrast to Lucia, Abel is grounded and plainspoken. His honesty borders on offensiveness; at one point, he outright calls her a brat. He has nothing to prove and seems content with his lot in life, even though he’s quick to point out that his job isn’t “glamorous” like hers. His gratitude and pragmatism may partly come from his having seen the worst parts of life—namely, during his six months in prison. Although the play is an hour and 40 minutes, it goes quickly. Many of the scenes are full of painful tension—and not just the romantic kind—as we watch an unlikely yet precious relationship being jeopardized because of Lucia’s eventually craven ambition. Although FADE grapples with big themes, the characters’ moral complexity and the dialogue’s humor make it thought-provoking, but never preachy. 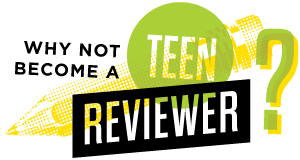 This review was written as part of the Fall 2018 Press Corps Intensive. It was edited by teaching artist and critic Becs Richards.